His service beyond TCC Southeast also contributed to Coppola’s recognition, Davis Henry said. 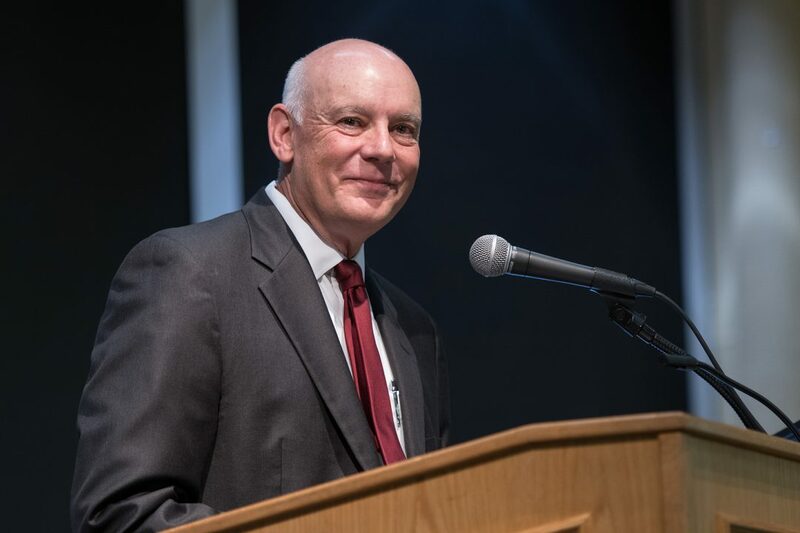 These include his contributions on the American Association of Community Colleges (AACC) Commission on Structured Pathways, the Arlington Chamber of Commerce Board, City of Arlington Transportation Committee, Methodist Mansfield Hospital Community Advisory Board and the Methodist Health System Audit Committee. Additionally, the honor recognizes his work as the Phi Theta Kappa Texas Presidential Liaison, as well as with the Phi Theta Kappa National Advisory Board, the Rotary Club of Arlington, Tarrant County Homeless Coalition, Continuum of Care Board of Directors and as a founding council member of the Tarrant Transit Alliance. Coppola was recognized Friday at the “Advancing the Dream” banquet at The University of Texas at Arlington, the kickoff event for the four-day celebration that includes a step competition, poetry and jazz performances and an ecumenical service.